The chinch bug is a destructive pest that feeds on plants in the grass family, including agricultural crops such as corn, wheat and barley. In lawns, these tiny, ravenous insects feed on turfgrass. Because chinch bugs are so small, it is difficult to discover an infestation until the grass they are feeding on starts to turn brown and die. Thankfully, preventative measures can manage this pest. After hatching, chinch bug nymph are red and about the size of a pinhead. As they mature, their color darkens and they grow wings. Adult chinch bugs are only about 1/6 inch long, which is just a little smaller than a pea. At maturity, these insects have a black body, red legs, and two white wings, each with one black spot. The pattern created when a chinch bug folds its wings over its dark body resembles an hourglass. After reproducing, adult insects may fly to a new location to lay more eggs or to overwinter. Adult chinch bugs survive the winter by finding shelter in dense, grassy areas and leaf litter. When temperatures warm to about 50 degrees Fahrenheit, chinch bugs emerge from their winter habitat to mate, which is quickly followed by laying eggs. Chinch bugs reproduce quickly — a female can produce about 300 eggs in 40 days. Because they are rapid reproducers, there are two to three generations of chinch bugs every year. It doesn't take long for these pests to reach populations as large as 200 bugs per square foot. Chinch bugs damage grass by sucking out plant fluids. As they eat, they inject a toxin into the plant that causes its leaves to turn yellow and then brown before dying. Adults feed on both leaves and stems, while nymphs feed on the roots just below the soil. 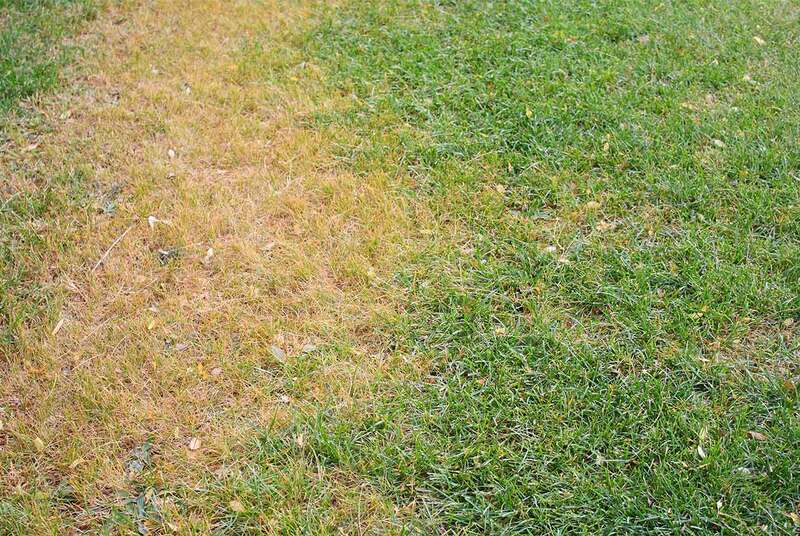 Grass that is stressed due to heat or drought is less able to recover from chinch bug damage. If you find yellow or brown patches of grass in your lawn, look closely at the base of plants in the affected areas. If present, adults and nymphs will move quickly to form groups just above the soil line. Preventing chinch bug damage before it happens is the key to maintaining a beautiful, green lawn throughout spring, summer and fall. When grass starts to turn green in the spring, apply Amdro Quick Kill® Lawn Insect Killer Granules every two months. Use a push or handheld spreader at a rate of 1.2 pounds per 500 square feet, and then water lightly. Amdro Quick Kill® Outdoor Insect Killer RTS is also effective against chinch bugs, as well as over 500 other types of insects. No mixing is required for this ready-to-spray product — just attach your garden hose to the container and apply to the lawn for results that last up to 3 months. As soon as chinch bugs hatch, they begin wreaking havoc on plants in the grass family. Start your pest maintenance program early and stay diligent throughout the growing season to prevent unsightly damage to your lawn.